This was my first visit to Flinders Golf Club, and I must say that I was pleasantly surprised. While I’ve played heaps of golf on the Peninsula, Flinders had always seemed a bit detached from the other well-known Mornington courses. In reality, though, it’s only 15 minutes from courses like Cape Schanck, so it is well within reach for a social group weekend or casual round. Flinders would have to be one of the more underrated courses on the Peninsula. While it isn’t long by any stretch, it still has plenty of bite. A handful of the par-4’s are easily drivable, yet if you are even slightly off-line you can forget about par, as you’ll be contending with deep bunkers, tall trees and any number of ball-grabbing shrubs or hazards. While there was only a slight breeze when we played, it’s clear that Flinders is a monster when the wind is up. Take the par-3 17th, which plays directly into the wind. 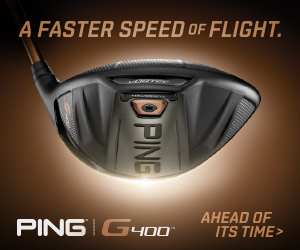 Though it’s only 172m, we were barely getting home with woods/hybrids — on a windy day your driver may not be enough. But the real test at Flinders is on and around the splendid greens – which were in fantastic condition. Ultra slick, deceptive and creatively contoured, these greens are still giving me “putting nightmares”. They roll extremely true, yet the breaks and pace were almost impossible to read correctly. I consider my short game to be the strongest part of my game, yet I rarely chipped/pitched/bumped one close to any pin at Flinders – most of my shots just kept on rolling, rolling, rolling…right off the green. Thus, your approach shots have added importance at Flinders. Whenever possible, aim for the low side of the greens to ensure you have an uphill putt! Overall, I think Flinders is a fantastic and fun course. Perfect for social groups or a casual day of golf, Flinders is a great venue that doesn’t disappoint. Flinders Golf Club is proof that making golf courses longer doesn’t make them harder. Measuring just 5200 metres, this superb links layout on Victoria’s Mornington Peninsula is arguably one of the region’s most difficult. Even on a day when the wind doesn’t blow, the small mostly elevated greens and tight fairways make scoring tough. The opening hole at Flinders sets the tone of what’s ahead. A short par four – just over 240 metres – with a handful of bunkers near the green make for a soft opening hole. But don’t be fooled. If you try and take the green on, it’s easy to rack up a bogey – or more. A key part of Flinders’ defence is the surrounds.Most chip shots are played to slightly elevated greens and if you’re like most amateur golfers, you’ll lose plenty of strokes not getting up and down from inside five metres from the green. The fourth hole at Flinders, arguably the club’s most featured, is a short par-4 the club’s named, The Coffin. From the tee, it’s best to lay up short to avoid the deep crevasse before the putting green. Like most greens at Flinders, there are plenty of undulations so it’s best to play it safe – especially on this hole. I found my playing partners came unstuck when they took on the flag in some tight positions. The opening nine at Flinders takes in some of the most amazing views of any golf course in Australia with Bass Strait as a backdrop. Flinders, which celebrated its centenary in 2003, has a traditional design where the 9th green doesn’t end up near the clubhouse. Because of that, it pays to load up with drinks and food at the start of the round. The last time I played Flinders was just after Christmas and the condition was superb. This time, the fairways had gone dormant and the appearance wasn’t as impressive – although there were no problems with the playability of the surfaces. Flinders is in the middle of some course changes. The most notable is the par-4 11th which has a new green under construction. When complete, the new look hole will have amazing views of the ocean and the green will be positioned to ensure stray balls don’t affect the houses which border the golf course. It will be interesting to see how the new green and adjoining water hazard look and play when finished. Over the last five years Flinders Golf Club has gone from strength to strength both on and off the course. 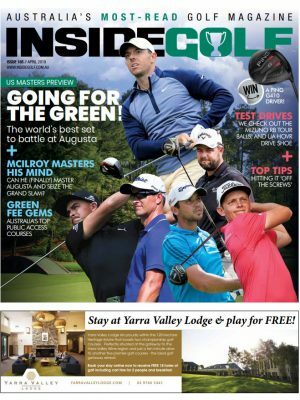 Not surprisingly, demand from non-member golfers has increased over the last year as more interstate and overseas golfing visitors add Flinders Golf Club to their itinerary. 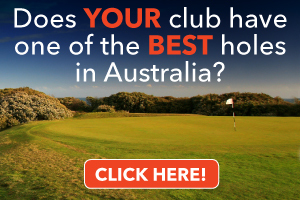 Flinders Golf Club might not appeal to all golfers – especially those who struggle with their short game. 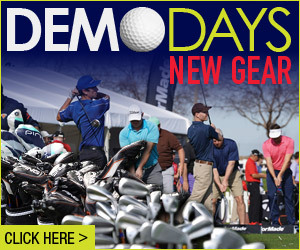 But for a player that appreciates the opportunity to use every shot in the bag, it’s a must. Not surprisingly, five-time British Open champion Peter Thomson used Flinders as a practice venue at the height of his career and the day I played, the Victorian Institute of Sport had its squad of players out for a round. I had the pleasure of accompanying Richard, Rob, and my son Ben on an enjoyable round on the seaside links of Flinders Golf Course. On this day the wind was unusually absent and only a gentle breeze tested the flight of the ball. Although of a shorter length than the modern Championship golf courses, Flinders proves to be a championship test for all levels. 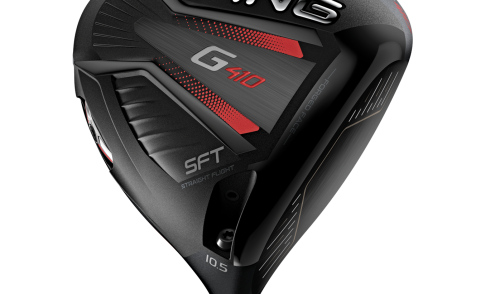 The fairways are well shaped to test driving accuracy and the greens have slopes and speed enough to test your putting skills. The first hole is short at 244 metres but punishes the wayward drive. Many longer hitters are advised to start cautiously and play an iron or rescue from the tee and then a short iron or pitch on. Longer holes are to follow but you need to wait till the 5th (Beach Hole) to open up the shoulders and even here the Ocean borders the left hand side of the fairway. The 11th is a short par 4 (259 metres) and is being changed to safeguard the homes that border the left side of the fairway. 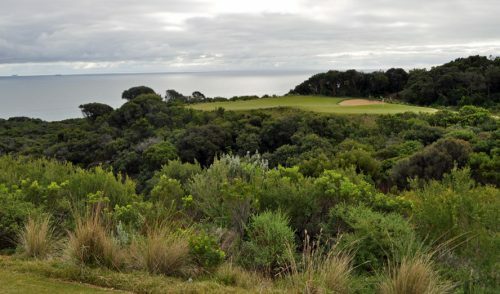 The huge Cyprus Trees that backed this green have been removed and the view now opens up to see the ocean and across to both French and Phillip Islands – very special. As we were finishing our 18 holes the Victorian Institute of Golf Elite Squad were setting out on their training run which shows that Flinders is a worthwhile venue for such training rounds. My assessment of Flinders is that it is a golf course which has much to offer for all levels of play and the scenic backdrops are music to the sole. When playing the Mornington Peninsula, Flinders is a worthy course to include in your playing list – you will not be disappointed. I have only played Flinders a handful of times but on each occasion the course presents a different challenge, partially due to the need to be accurate with my drives and partially because of the varying weather conditions that I have experienced there. It was great to see how they are changing the 11th hole to involve the new dam built for the water needs all year round. The Giant Cyprus trees that had backed the original green were gone and now the ocean views form a links style backdrop to many holes at the top of the course. 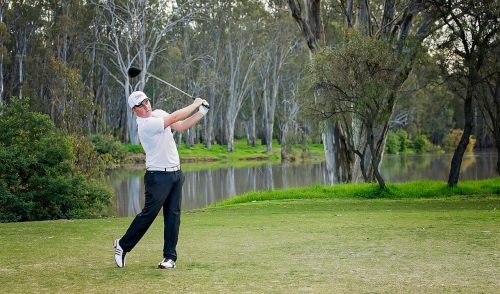 Having played flinders a few times in pennant and in junior tournaments I have seen the course challenge many good players. Even though the course is short by modern standards and several of the par fours are almost drivable for the long hitters it really punishes the wayward drive and forces you to think your way around the full 18 holes. I would recommend Flinders as a course to play when you are looking for both a challenge and a fun game of golf.